With the coming of the holiday season, charities become an increasingly important part in our community. Giving back to your community can be a very rewarding experience, especially during the holidays. Around the area, there are multiple foundations dedicated to helping those who are in need. One specific organization that is making an impact on our community is Habitat for Humanity. Habitat for Humanity is a nonprofit housing organization with a vision of a thriving society that provides houses for everyone alike. By building houses for those in need of a home, they are working to accomplish this goal. The charity raises money given to them through donations and money made selling second hand items, donated to them by the local community. 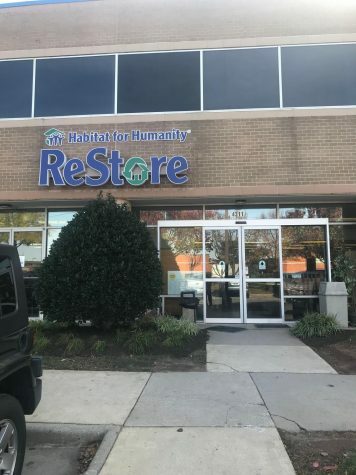 Through hard working volunteers and a motivated community dedicated to help those in need, the organization is continuing to work towards achieving their goal of helping the local community. Another impactive community charity is the Salvation Army. Unique to the organization, the salvation army aims to help out with multiple worldwide issues, including assisting disaster survivors, curing hunger, overcoming poverty, providing shelter, and educating the youth. Their action plan consists of steps towards fighting for these causes, by first examining the extent of the situation and then addressing the issue by building programs and providing appropriate funding. With numerous locations around the area, there are a multitude of ways to become involved in the charity. The Salvation Army accepts donations of goods and clothing, as well as money to help support their vision. FeedMore is an organization dedicated towards ending world hunger. Their mission is to provide those in need with healthy meals while helping to create a better tomorrow. With their wide-span of branches across the world, FreeMore is working to help families across 34 countries gain access to adequate meals. As Virginia’s primary hunger-relief organization, FeedMore serves more than 200,000 families in Central Virginia. Anyone can help to continue this great cause by either volunteering and dedicating time to help out, or donating to fund the organization as a whole. With a mostly volunteer body of representatives, the charity relies on the help of the community to keep its plan in action. Volunteers are crucial to the success of the organization’s actions, specifically with the Meals on Wheels program. Meals on Wheels is a partner of FeedMore and is dedicated to delivering freshly prepared foods from community kitchens to recipients in their own residences. Volunteers are the primary foundation of the system, as they are responsible for driving and delivering the food. Overall, numerous foundations can be seen helping those in need around the community. With the coming of the holidays, it gives us pause to remember how we can help those in need and give back to the community. They establish a sense of gratefulness and appreciation for what is offered in the community and the programs that are dedicated towards making a difference in the lives of everyday people.